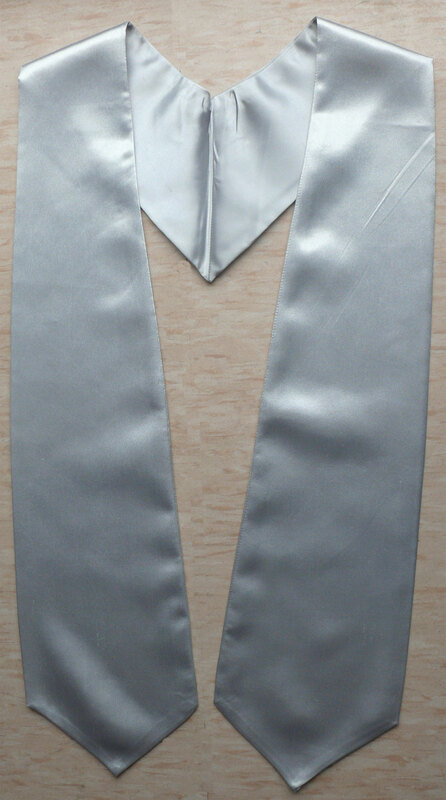 Customer Reviews on "Silver Graduation Stole"
My first order was the first time I browsed the website. I ordered Graduation stoles for graduation. The priced shipped was cheaper than I could find anywhere else. I received confirmation of my order and it was shipped the same day! I will definitely shop there again. We needed a way to differentiate the honor students form the rest. This silver stole fit the job perfectly. It brought attention to the graduates that worked he hardest. GraduationProduct had a Great Prices ! Write you own review on "Silver Graduation Stole"